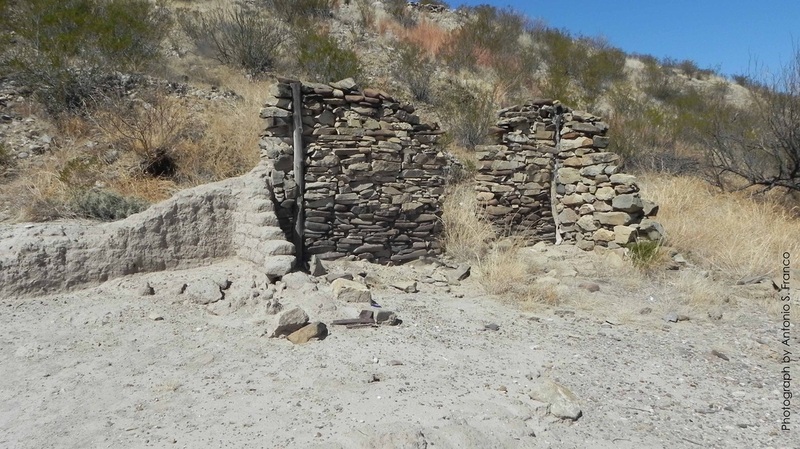 Though much is made these days of Terlingua as a ghost town, there were other settlements that became ghost towns and are now mostly forgotten. 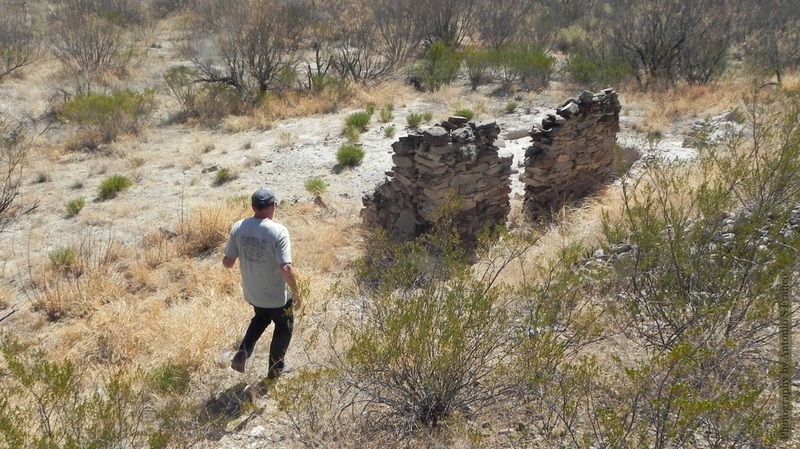 Among these is La Coyota, Forgotten Ghost Town. Severiano Chavarría is considered one of the founders of the settlement that came to be called La Coyota. "La Coyota" means female Coyote in Spanish. Maps sometimes erroneously refer to La Coyota as "Coyote." The story of La Coyota starts, not in Mexico as you might assume, but in Fort Stockton, Pecos County, Texas with Severiano and Rita Chavarría. Severiano and Rita Chavarría were married in Fort Stockton on February 7, 1876 the year the United States celebrated its hundredth anniversary. While living in Fort Stockton they had the first four of their children. They were all born in the month of May. Ruperto, the oldest, was born in May 1877. Two years later -- also in May -- his brother Sixto was born. Another two more years and their sister Marcelina was born in May of 1881. Then Fernanda was born three years later on May 30, 1884 breaking the two year cycle. Sometime between May 30, 1884 when Fernanda was born in Fort Stockton and April 29, 1885 when Petra was born in La Coyota, the family moved from Fort Stockton to La Coyota. So Petra, was the first of twelve siblings born in La Coyota. She was born on April 29, 1885 just two days short of May a year after Fernanda's birth. It is not clear if there was anybody living here before, but Bob Wirt felt that Severiano was one of the founders of La Coyota. You can see the names of all the family at the Severiano Chavarría page by clicking here. Given the time range between Marcelina's birth in Fort Stockton and Petra's birth in La Coyota in April of 1885, it seems more likely that Rita might have been more likely to leave Fort Stockton in her early pregnancy. 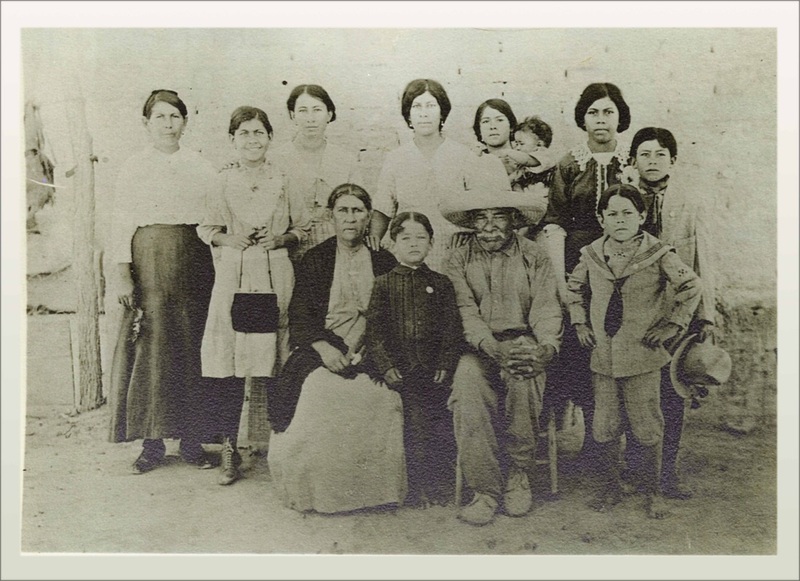 So, if they were among the first inhabitants, it is possible that La Coyota was founded in 1884 rather than 1885. The settlement grew around the east and south sides of the small mesa that is there. There was a sizable number of families there for many years. Jesús García played a prominent role in La Coyota. 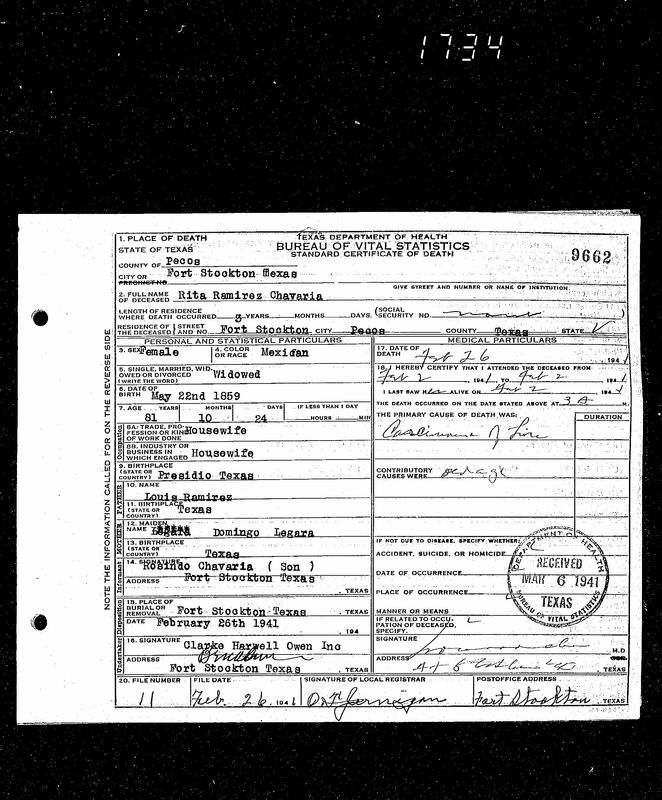 According to the 1900 US Census Jesús García and his wife, Mariana Oliveres immigrated in 1898 when he was about 28 years old and she was about 24. So they would have come about 13 or 14 years after La Coyota's founding. They may have moved directly to La Coyota since two years later they census shows them living in the third house from the Severiano home. It is not clear if Jesús García moved to the top of the small mesa overlooking the rest of La Coyota when they first got there, or if they moved there later but it seems likely that they started there in 1900. 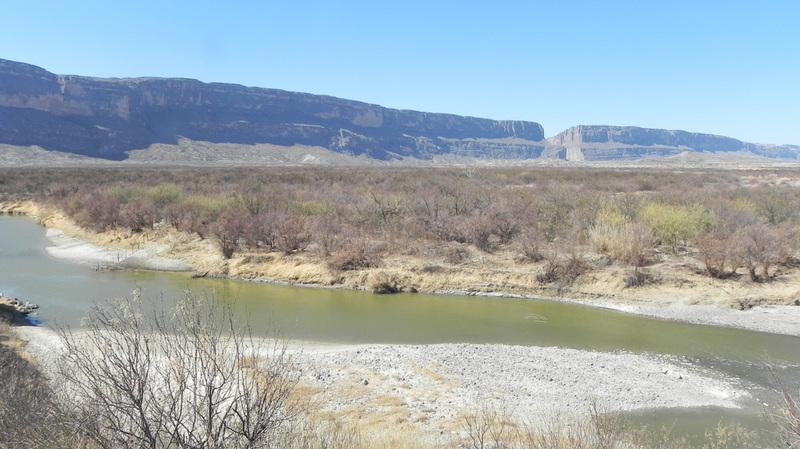 The photo above is looking west north westerly over the Rio Grande in the foreground towards Santa Helena Canyon in the distance from the top of the small mesa that sheltered La Coyota . You can see that the Rio Grande was right at the edge of La Coyota. Because the river makes a short loop north here you are looking across Mexico and back into the US. Only two homes were ever built on the top of the Mesa. For many years the only home on top of the mesa was the Jesús García home. Bob Wirt tells us from his research that the García home had a large room in which church services could be held. This shows that Jesús García probably played a very prominent role in La Coyota. Ruperto Chavarría, Rita and Severiano's first child, had been eight years old when the family moved from Fort Stockton to La Coyota. 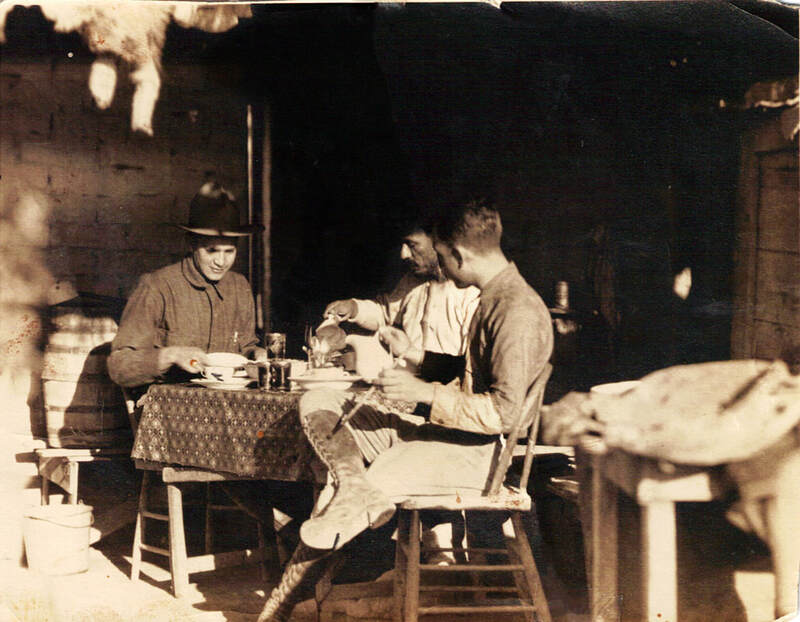 Later he built his home at the southern base of the Mesa on the Rio Grande's bank. But there was a flood of the Rio Grande in 1934 that destroyed Ruperto Chavarría's home at the bottom of the mesa, so Ruperto built his second home at the top of the mesa. When he was 33 years old Ruperto bought 540 acres that included a lot of La Coytoa. Severiano died in 1925 in La Coyota and is buried in La Coyota cemetery. It appears that Severiano's oldest son, Ruperto assumed a leadership role in the settlement, but it is not clear if this was before or after his father's death. Ruperto was 48 years old when his father, Severiano, died. Rita lived in La Coyota for about 55 or 56 years until 1938 and then moved back to Fort Stockton where she died in 1941. Rita was buried in St. Joseph's Cemetery in Fort Stockton. The records indicating Rita Chavarrías' grave site were lost when a flood ruined the paper records at Saint Joseph's rectory. A few years ago a great grandaughter of Rita, Marissa Chavarría Singh, read this page and got in touch with us. She knew where Rita was buried since her grandfather, Pablo "gordito" Chavarría, had made a tombstone for Rita when she died; and the family had visited the gravesite over the decades. But the tombstone made of concrete had eroded over the decades and was not legible. Rita Chavarría's death certificate indicates she had been living in Fort Stockton for three years before her death. So Rita must have left La Coyota in 1938 after living there for over fifty years and came full circle back to Fort Stockton. It would be interesting to know who was the last resident of La Coyota and when did they move away? 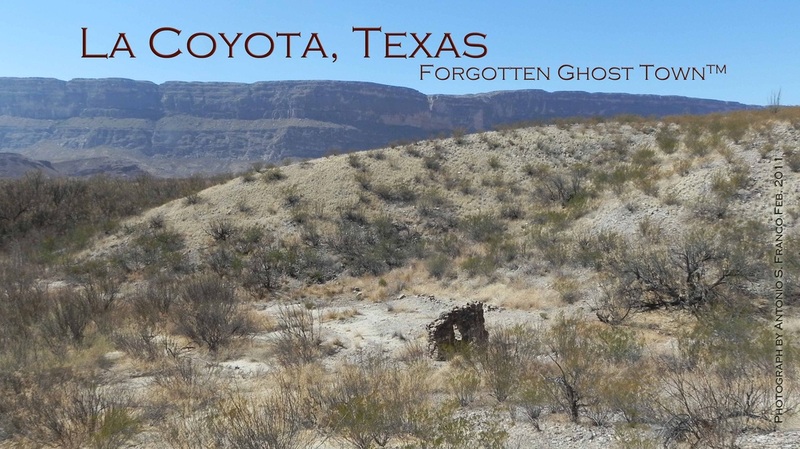 Anyway, today the remains of La Coyota are barely visible in the Big Bend National Park and La Coyota is the forgotten ghost town. 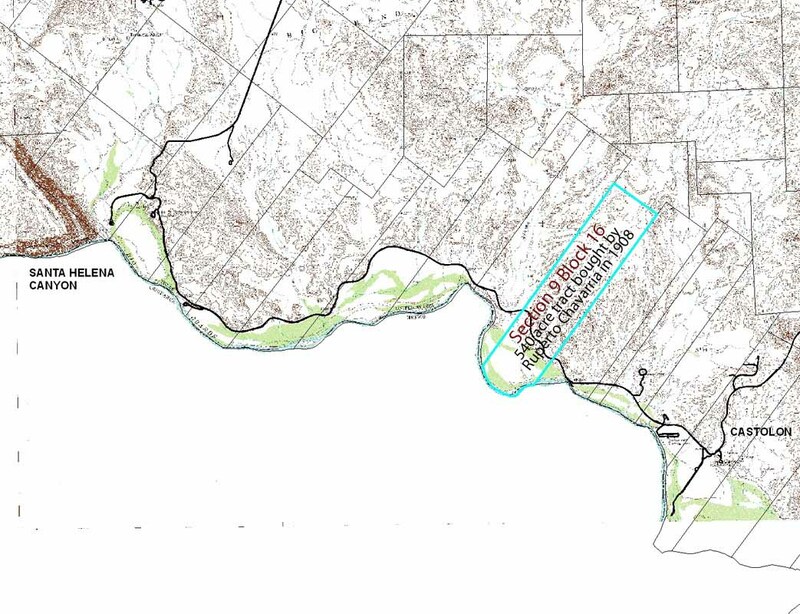 The map below shows La Coyota where the green arrow points. On the eastern edge of the mesa you can see the green of the shrubbery growing on the gentler eastern slope of the mesa. 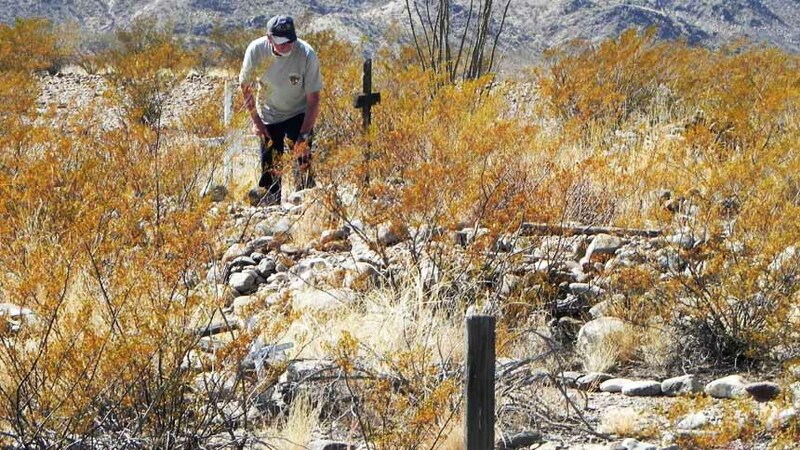 The rest of the La Coyota homes were found here. The ruins include a home that is believed to be Severiano Chavarría's home. You can see that La Coyota is about two miles west of Castolón by 1886 between the Rio Grand on the west and Alamo Creek on the east. 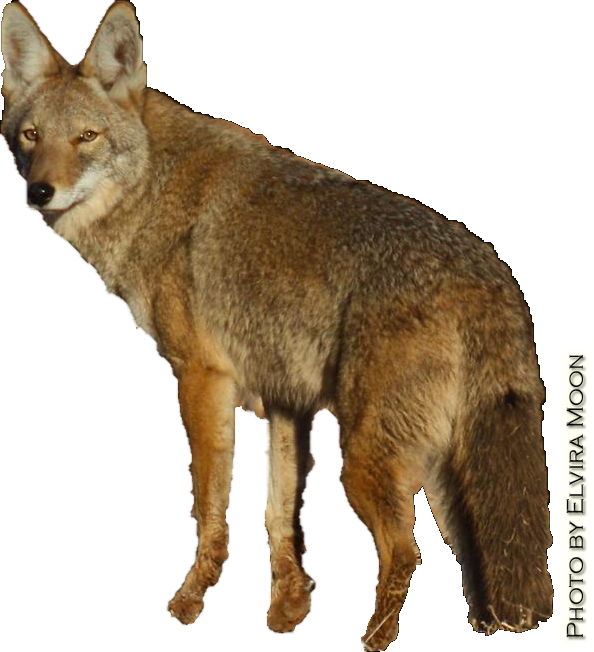 It is said that a female coyote (la coyota) was seen in the area and the name stuck. La Coyota is inside the Big Bend National Park today. This photo was taken about 1918 or even 1919 since Roman Franco (front row) died in Dec 1919 at age 7. The Rio Grande seen from on top of the mesa at La Coyota with the Santa Elena Canyon seen in the background. 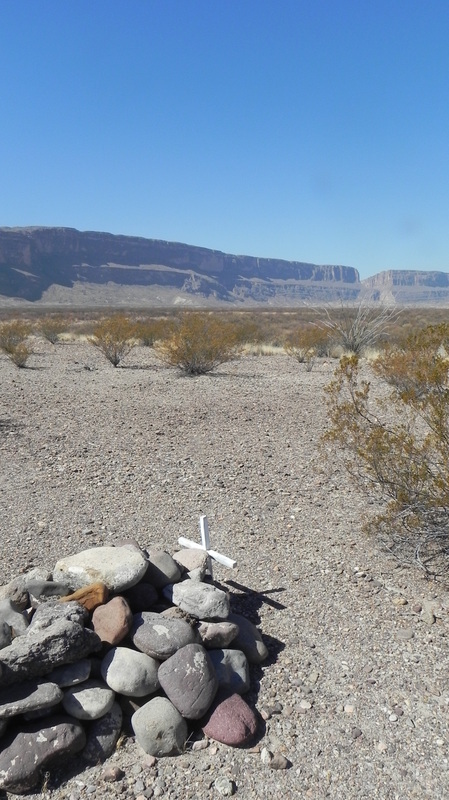 A view (to right) of the Santa Elena Canyon (notch in skyline) as seen from La Coyota Cemetery with a burial site shown too. Most of the burial sites look like this one. Someone placed metal crosses because the original wooden crosses had decayed. Above is Bob Wirt examining the dark wooden cross. Most of the original crosses have long ago decayed. Above are the few remaining ones, too worn to have legible inscriptions. The one Bob is examining in this photo is partially legible. It has a woman's name. 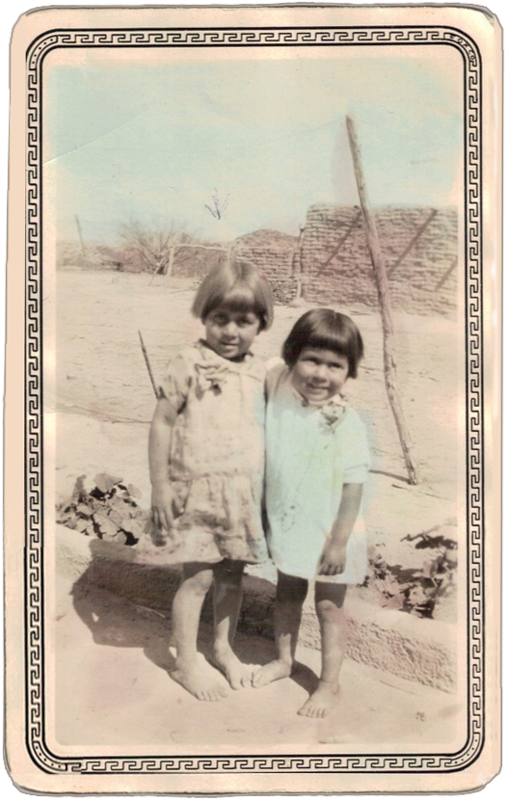 Genoveva Ramírez (on the left) lived in La Coyota for a long time and she shared many photos and details of life in La Coyota with Louisa Franco Madrid which have been incorporated into Familias de Terlingua and Life Before the Ruins. We owe a great debt of gratitude to Genoveva. Brett Franco, Louisa Franco Madrid, Bob Wirt and Genoveva "Veva" (Ramirez) Rodriguez. Click here to discuss La Coyota. Pulse aquí para comentar sobre La Coyota.